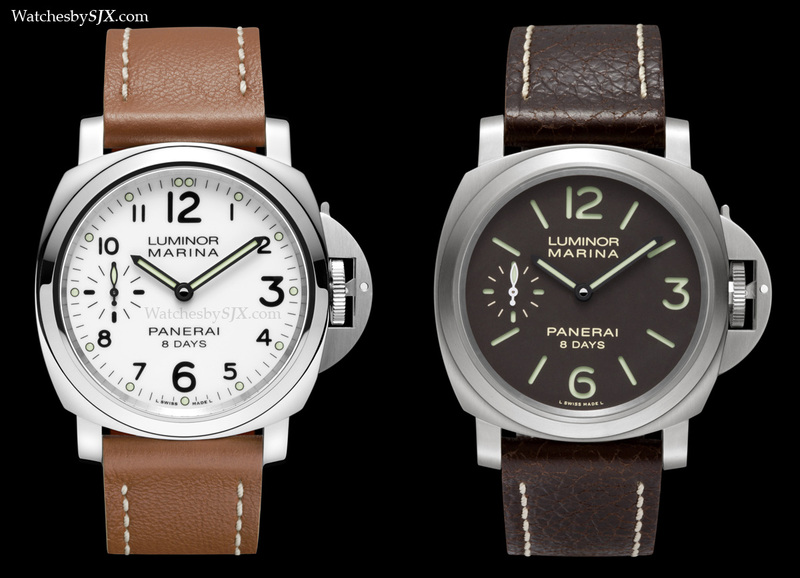 Here are five new entry-level Panerai Luminor 44 mm timepieces, freshly unveiled at SIHH. 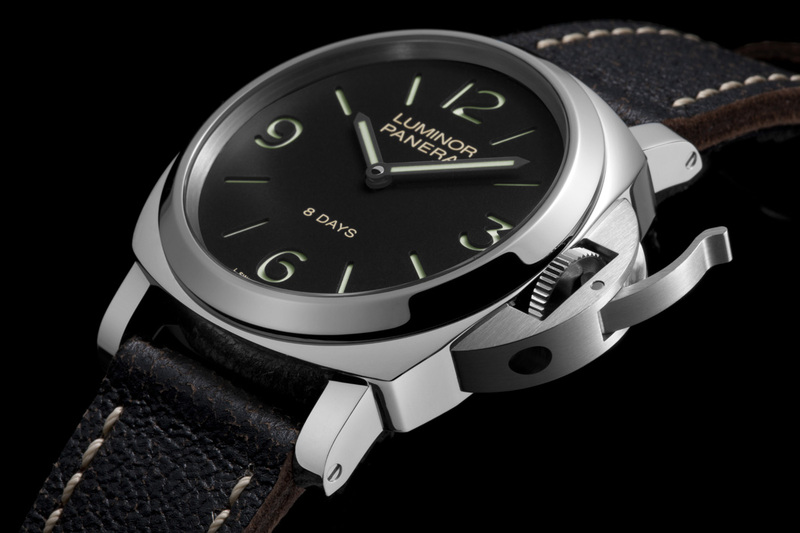 Comprising both the Luminor Base and Luminor Marina models, in both steel and titanium, all five are powered by the in-house P.5000 movement. 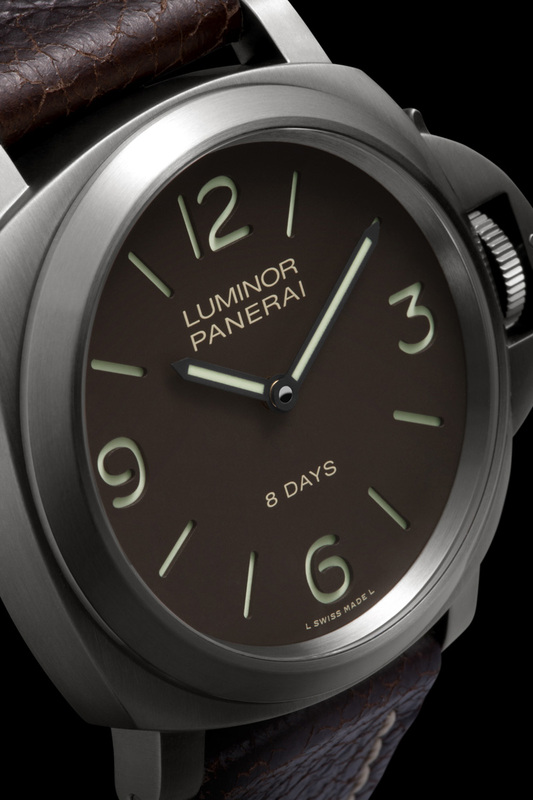 Last year Panerai introduced the first two Luminor models, the PAM510 and PAM511, to contain the P.5000 movement, a hand-wound, eight day power reserve movement positioned as the entry-level in-house calibre. 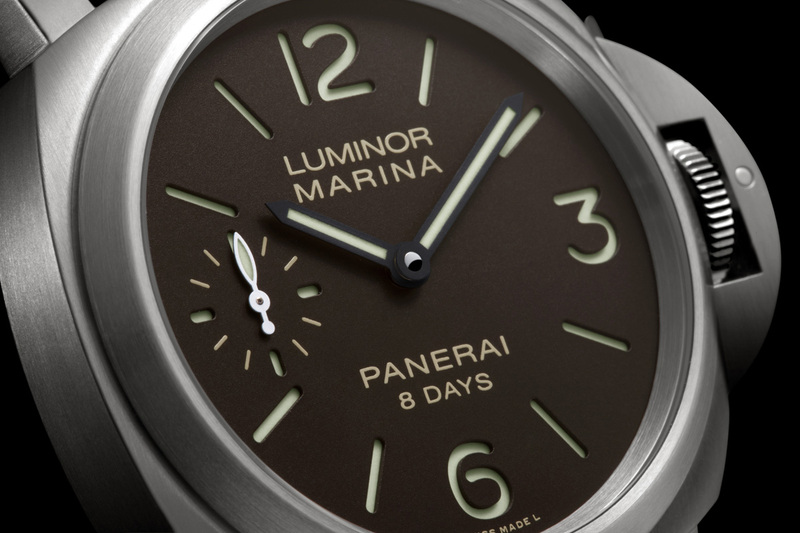 At SIHH 2014 Panerai has unveiled five more watches to join the P.5000 line-up, ranging from the simplest Luminor Base in steel to a Luminor Marina in titanium. 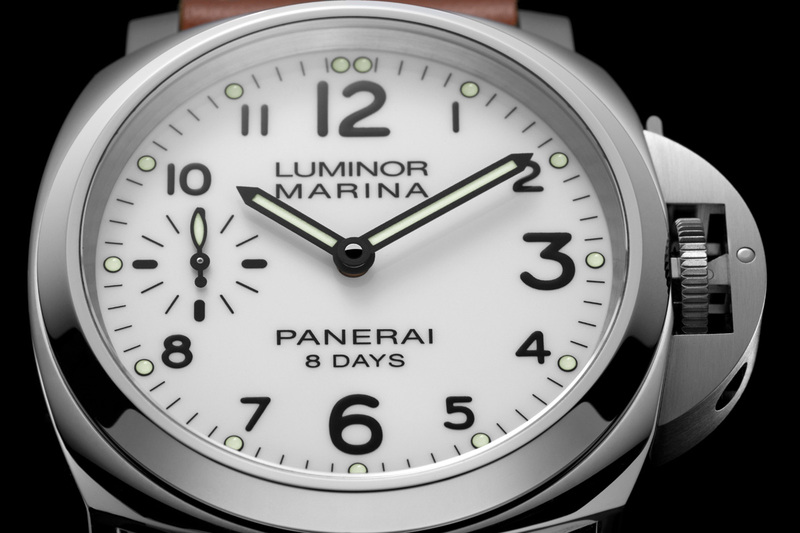 All five new models have the same specs, a 44 mm case water resistant to 300 m, with the P.5000 inside. 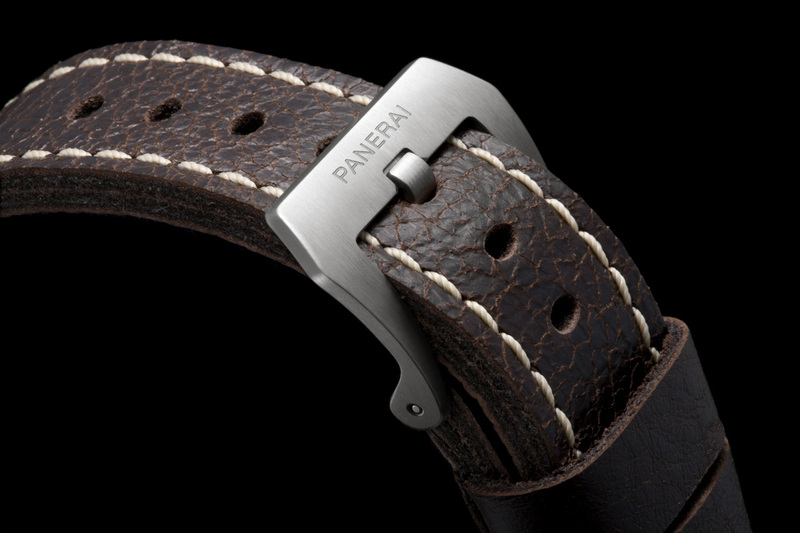 Each is fitted to a slightly distressed leather strap with a Pre-V style buckle. 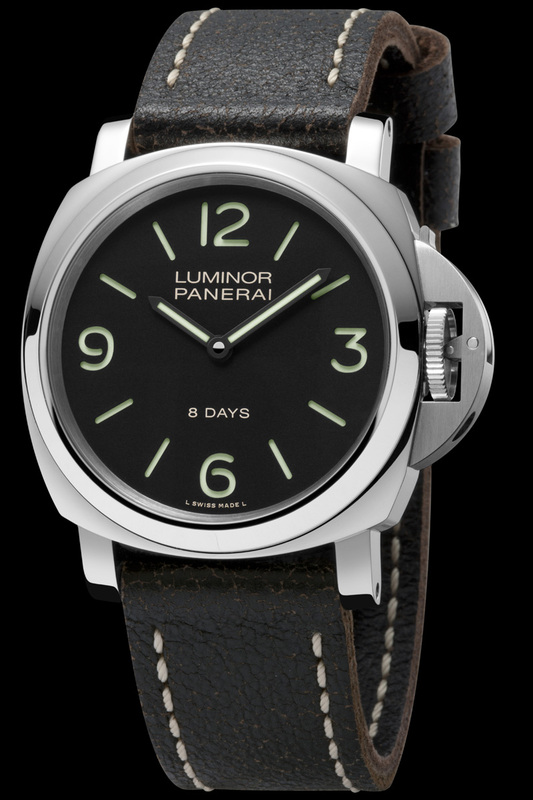 Three Luminor Base models were unveiled, the PAM560 in steel with black dial, the PAM561 in steel with white dial, and the PAM562 in titanium with a brown dial. 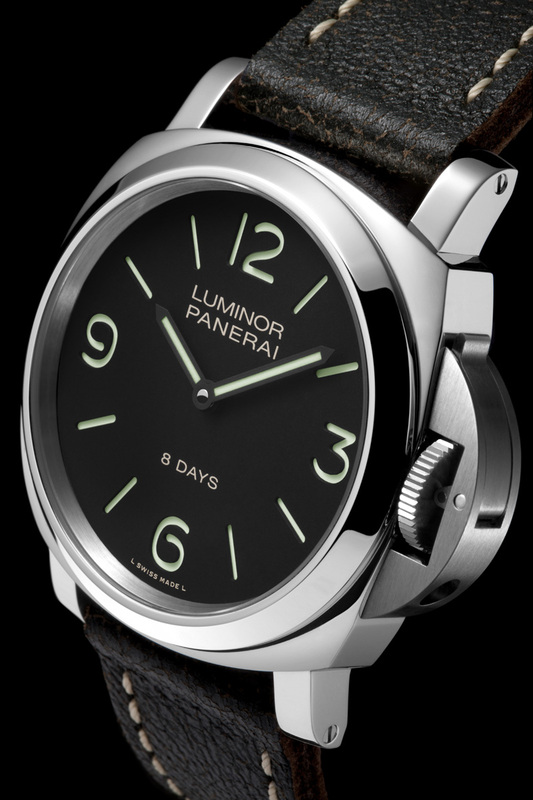 The steel Base models at €6100 (~US$8270), while the titanium Base is €6500 (~US$8810). 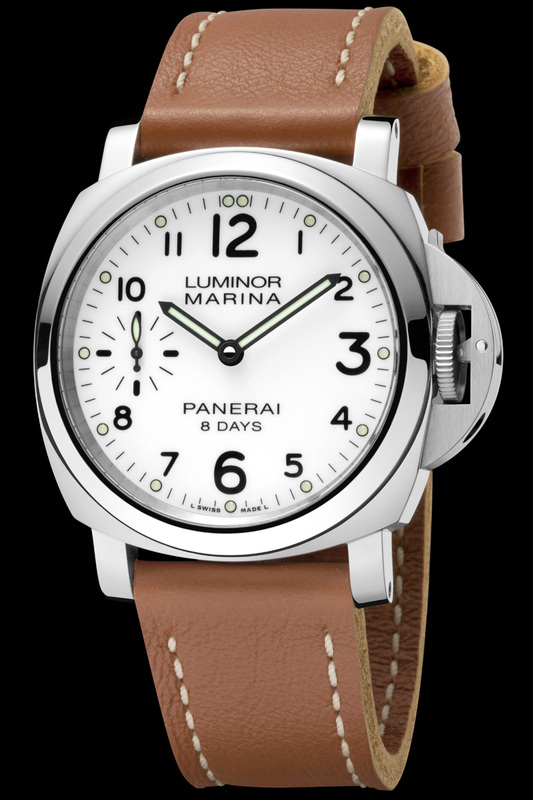 And two more Luminor Marina models with a sub-seconds at nine join the family, the PAM563 in steel with white dial, and the PAM564 in titanium with a brown dial. 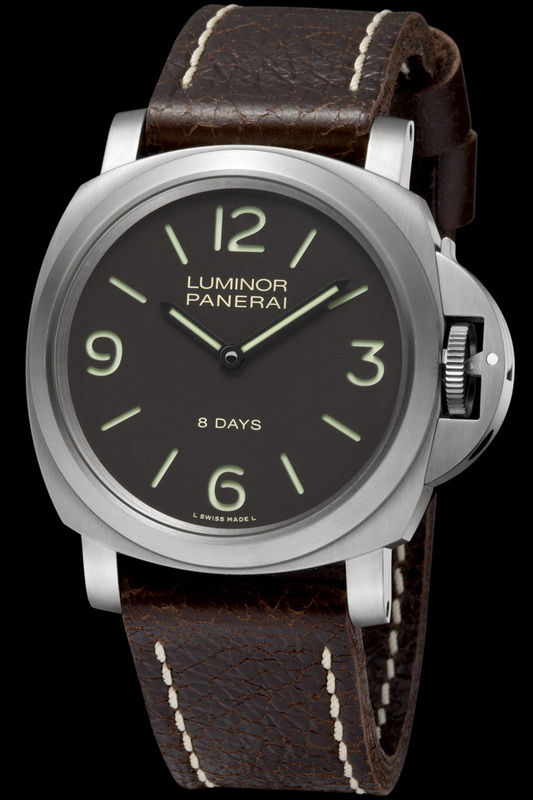 The steel PAM563 retails for €6400 (~US$8680), and the titanium PAM564 is €6800 (~US$9220). Delivery is expected sometime in mid-2014. Keep an eye on our SIHH page for updates. 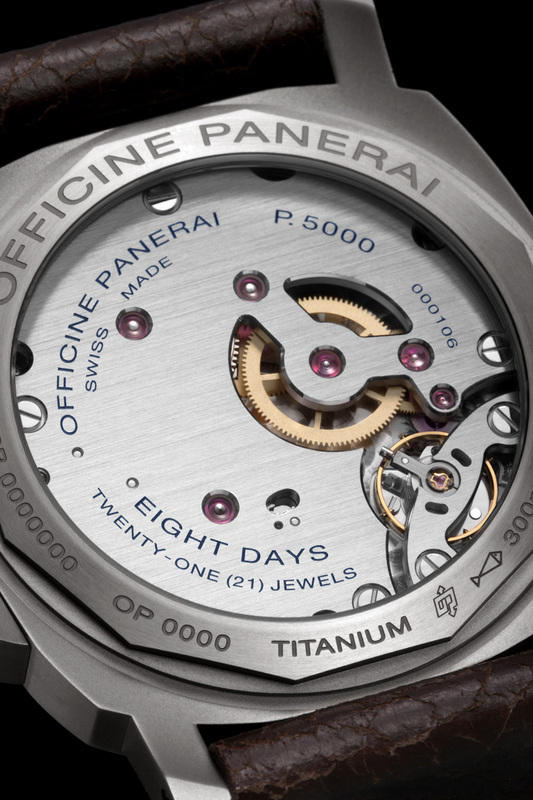 Or follow us on Facebook, Instagram and Twitter to keep track of the happenings at SIHH 2014. 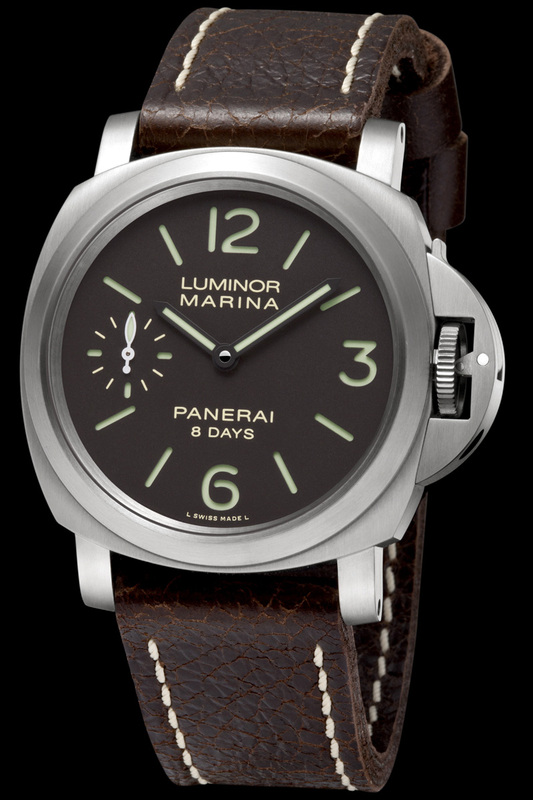 A remake of the first Radiomir 1940, the new Panerai Radiomir 1940 Marina Militare 3-Days Acciaio PAM587 is 1000-piece limited edition with all the features typical of a Panerai vintage remake.